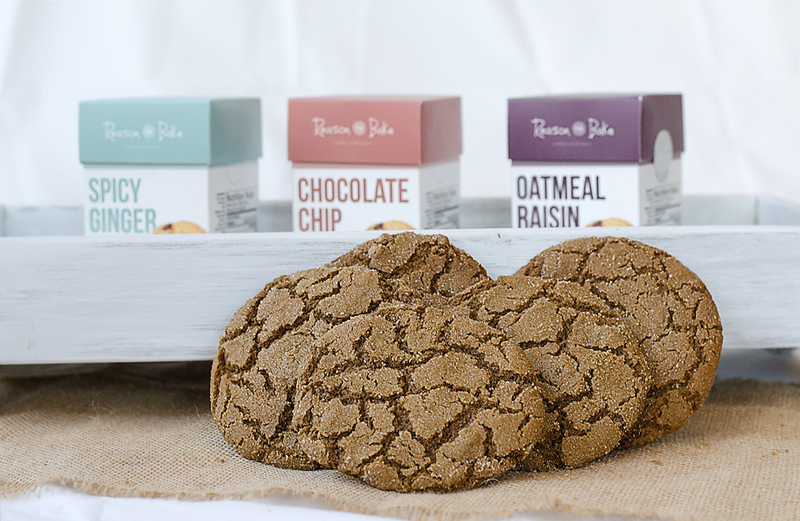 All of your gluten-free cookie favorites...in one delicious package. Our variety pack offers you the best of everything! 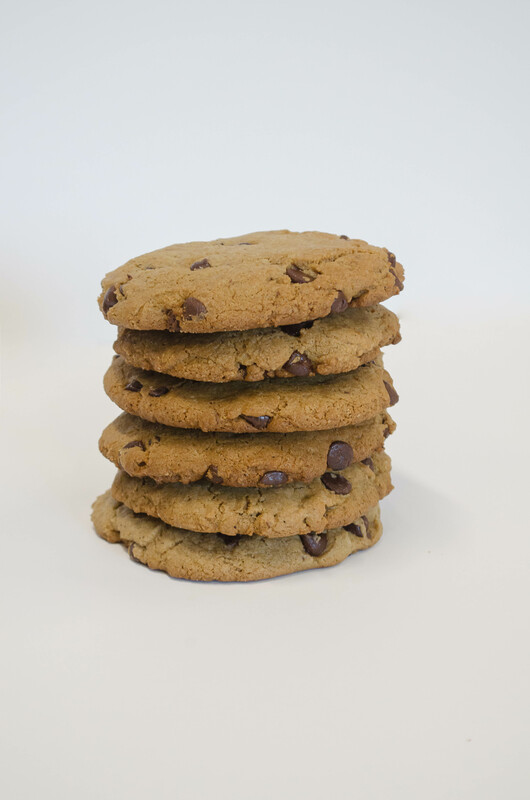 Enjoy three signature Reason To Bake cookie flavors: Chocolate Chip, Cranberry Oatmeal, and Spicy Ginger. Each flavor comes in its own box, so you can savor them one at a time...or mix and match. Enjoy delicious, gluten-free fine ingredients that are all-natural, organic where possible, GMO-free and free of preservatives so you can get that "fresh out of the oven" taste delivered straight to your door. Our Variety Packs make great holiday gifts, employee gift baskets, back-to-school pantry staples, dinner party hostess gifts, or care packages to friends and family. Or just enjoy them yourself! You've earned it. Each box in the Variety Pack contains 6 individually wrapped cookies. Semi-sweet chocolate (sugar, chocolate, cocoa butter, milk fat, soy lecithin, vanillin, artificial flavor, milk), brown sugar, dried dates, sweet cream butter, unsalted gluten-free flour (rice flour, brown rice flour, tapioca starch, potato starch, potato flour), xanthan gum, pectin (lemon derivative), certified gluten-free oats, pecans, egg, salt, baking soda, pure vanilla extract. See box for full nutritional information. Gluten-free flour (rice flour, brown rice flour, tapioca starch, potato starch, potato flour), xanthan gum, pectin (lemon derivative), crystallized ginger, organic evaporated cane juice, brown sugar, molasses, butter (cream, natural flavor), egg, organic palm shortening, baking soda, cinnamon, ground ginger, salt, allspice. Gluten-free flour (rice flour, brown rice flour, tapioca starch, potato starch, potato flour), xanthan gum, pectin (lemon derivative), gluten-free organic rolled oats, butter (cream, natural flavor), brown sugar, cranberries, sugar, citric acid, sunflower oil, elderberry juice concentrate (color), egg, organic evaporated cane juice, whole milk (milk, vitamin D3), orange extract, baking soda, cinnamon, salt, orange zest. I found Reason to Bake after reading an article on Facebook and had to try them. 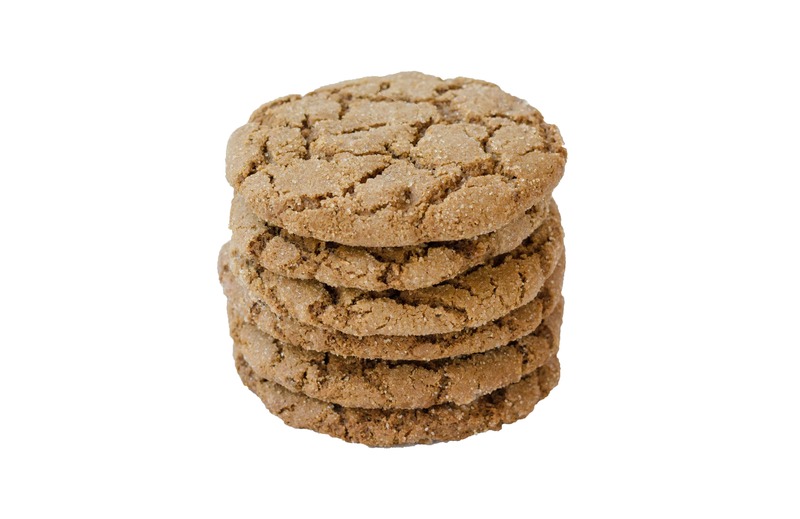 All three varieties are delicious, but I have to give the slight edge to the Spicy Ginger Cookies. So tasty! I will definitely be ordering more for myself, and as gifts! Thank you! Cookie packages ship within 3-5 business days.